The collision of the popular and classical music worlds can often result in musical magic. That is the idea behind the "Popical" series at the Gothenburg Konserthuset, where various musicians collaborate with the Gothenburg Symphony Orchestra. An excellent idea, you will agree. But when you add Salem Al Fakir to the equation, it becomes a phenomenal prospect. When you consider Salem’s own classically trained musical background, it all makes perfect sense, but his own music, although unclassifiable, could be termed "pop" in the purest sense of the word = "pop" as in "popular" with the widest possible appeal to everyone from 7 to 70 years old. So it was appropriate that Salem’s own diverse musical approach would be taken to the highest level in the "Popical" context. It’s not the first time of course that Salem has collaborated with an orchestra in a live setting. In November 2008 and December 2009, he played a series of live shows at Berwaldhallen in Stockholm with the Swedish Radio Symphony Orchestra, highlights of which were broadcast on Swedish Radio, and it became very clear that this was an extra special experience for everyone lucky enough to have witnessed this collaboration. Salem also performed with the Malmö Symphony Orchestra in an outdoor show in that city last summer. From the moment that the one-off Gothenburg show was announced, there was only one thing I knew. I had to be there, and would go to any length to make it. Regular readers will know that I went over to see Salem play at Trädgår’n in Gothenburg 11 months ago. At that time Salem was on tour with his band, promoting "Astronaut" which had just been released. It had been a terrific concert, but his orchestra-show was the one I really wanted to see, as it is very obvious that Salem’s music is just made for this orchestral setting. After overcoming a couple of minor difficulties, I finally booked my tickets in January and was lucky enough to get seats in the fifth row from the front. At that time there were many tickets still available, but the 1200-capacity Stora Salen sold out very quickly indeed, particularly after his appearance in Melodifestivalen. Since that first appearance in Örnsköldsvik on 6th February 2010, everything has changed. 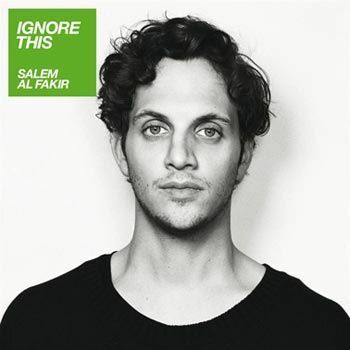 Before Melodifestivalen, it appeared that Salem, although reasonably well known with a loyal fanbase, was still a long way outwith the "mainstream": and a lot of people in Sweden were still unfamiliar with his music, which was ignored by the main commercial radio stations. It felt at times that Salem was more popular with the music critics in the media, than with the public. It was therefore a very wise move on Salem’s part to accept that invitation from Christer Björkman to participate in this phenomenally successful annual TV event, as a way to get his music over to a wider audience, without any compromise whatsoever and emerging with his credibility intact. During the Berwaldhallen concert series, Salem’s music was arranged for orchestra by the brilliant conductor/arranger Hans Ek, with whom Salem seems to have developed an almost telepathic understanding of his musical requirements. Of course Salem’s own talent as an arranger, and his understanding of the classical music environment obviously helps too! The good news for those of us lucky enough to have been in Gothenburg on Friday, was that Salem was reunited with this excellent and charismatic conductor, who ensured that the orchestra delivered a perfect musical accompaniment: Hans Ek also proved to have a very good sense of fun in his between-song chats and anecdotes with Salem. It was a "home game" for the GSO as the Konserthuset is their base, and what a stunning hall. The acoustics were as good as previously described, and although there may have been a slight echo at times (maybe just because where I was sitting?) Salem was never drowned out by the orchestra, which some reviewers had highlighted previously at the time of the Berwaldhallen shows. That may have also had something to do with the large number of musicians on the Berwaldhallen stage, whereas it was a reduced version of the GSO which appeared on the Konserthuset stage with Salem on Friday. I felt that there was just the right amount of musicians present, enough to provide a perfect orchestral backing whilst at times maintaining an almost intimate atmosphere. Of course I can’t write my review without mentioning what Salem was wearing! He was dressed for the occasion in a silver grey jacket, white shirt and dark grey tie, Salem has such a fantastic sense of style, and Friday night was no different. And he looked so handsome as always! Of course a special mention must go to Salem’s band, who put in a great performance as always: Jakob Birgersson (bass), Nisse Wallfält (drums), and Adam Hagstrand (guitar). Unfortunately from where I was sitting, I couldn’t see them as they were hidden behind Salem and his piano - but their musical contribution was extremely important, and they also provided some very good backing vocals too. And on another fashion note: they were also very well-dressed for the occasion! The orchestra initially took to the stage, followed by Salem’s band members, Hans Ek, and finally Salem himself. He sat down at his grand piano, where he would remain for the rest of the evening. If I was trying to describe what made Salem so special as a live performer, (apart from his outstanding musicality, talent and ability to craft melodic and emotionally compelling songs), I would highlight his hugely charismatic personality and his ability to connect with an audience. But there were two other significant things I noticed on Friday night too - his constant respect and appreciation of Hans Ek and the GSO musicians from beginning to end, and his absolute enjoyment of the evening from the moment that he came on the stage until his final bow. On Friday night on that Gothenburg Konserthuset stage, Salem Al Fakir was the true definition of happiness. Despite the recent release of the new album, only three songs from it were included. (I think this had more to do with the practicalities of arranging the material for the orchestra). My own view is that although I love the new album, there were certain older songs that I wanted to hear with the orchestra and I wouldn’t have been too happy if these had been dropped to make way for some new songs! 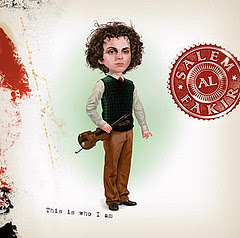 Regular readers will know that my two favourite Salem songs are "Good Song" and "One Of The Others", both of which are taken to a whole new level with the orchestral accompaniment, so I was particularly happy that these were included, likewise "This Is Who I Am", "Twelve Fingers" and "Cold Shower". It was truly a "greatest hits" set! 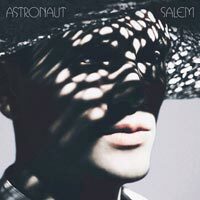 The show began in subtle style with "Astronaut" which was an immediate sign that Salem would be acknowledging every stage of his musical career to date. When the strings came in later, it was to be the first of many magical musical moments of the evening. And they followed one by one: "It’s Only You (Part II)".... "This Is Who I Am"...."Twelve Fingers"; and then to the spellbinding "Brooklyn Sun" in what is, for me, the definitive (orchestral) version of this song. Utterly beautiful. The pace picked up again with "Cold Shower" - Salem was very active, jumping around during this one! Hans Ek then introduced the band and the orchestra. Then it was "4 O’Clock" - which means....handclaps time!!!! This was great fun, as the orchestra took a break from playing and Hans Ek conducted them - and us - in synchronised handclapping after every line of the verses. It was good to hear "4 O’Clock" in a non-electronic style - its arrangement for band and piano was just lovely. The first half of the set was closed with "Roxy" which is a pretty surreal experience, hearing such a cheeky song played in a classy-orchestral style.....! If act one had been one treat after another, then even better was to come. The second half of the concert kicked off with my personal favourite of Salem’s whole repertoire - the simple but timeless "Good Song" which of course erupted into a giant audience singalong. And then, to my other most-favourite Salem song: "One Of The Others".....At this point I was completely overtaken by my emotions. Of all the songs that Salem plays with the orchestra, this one transports me out of this world. The new orchestral arrangement was elaborate and complex, whilst words cannot describe the middle/symphonic section of the song before that stop/start moment which was yet another signal for the crowd to begin clapping along. "Dream Girl" - always a classic, but particularly breathtaking this time. Although Salem has always had a distinctive singing voice, I feel that there has been an extraordinary development in his vocal talent over the last year or two and he particularly excelled in this song tonight. This was one of the best orchestral-accompaniments of the night, building up and taking us beyond our wildest expectations, and (particularly in the last minute) transporting us out of this world. With the arrival of "It’s True" - the original crowd-pleasing favourite - we knew that the end of the show was approaching. The song hasn’t changed too much in style, but its simplicity is its strong point. And so to the most popular song of the evening - "Keep On Walking". The audience was on their feet immediately, clapping, singing, screaming....it became an anthem of triumphant celebration. Where the recorded version ends somewhat abruptly, Friday night’s version built up towards a simply breathtaking orchestral finale. We all shouted and stamped our feet....we didn’t want Salem to go! He came back out on stage and typical of his sense of humour, waved us all to go home and took his final bow. I feel honoured and privileged to have witnessed this fantastic concert, by an extraordinarily talented young man who is at his creative peak. Can it get any better? I would be tempted to answer ‘no’ - how can you improve on perfection? But this is Salem Al Fakir we are talking about. A world star in the making, if he is given the chance to be heard outside Sweden. He is capable of anything. He is aiming for the sky....and there is no limit to what he can achieve. Laura, your review brought tears to my eyes - I was there too and the review made me re-live it all again! Lovely. The main feeling I had during the concert and several days after was - pure happiness!! :) I walked around with a (rather silly) smile on my face for days! :) It was the first time I saw Salem live but certainly not the last!! He is truly the greatest. I am still walking around with a silly smile on my face and probably will be for some time to come. He is, indeed, the greatest. Thank you so much for this! For someone who have not been lucky enough seeing Salem live, this was needed. Thank you for brightening my day! Thanks for the review, very very good! By the way, Sophie if you are reading this. I know what girl you mean (I think). I saw her too, both at the concert (she sat on the front row with a friend, I admired her dress...) and at Bengans. Gorgeous girl, think she´s from Gothenburg, but not sure. I love when i read you reviews cause it re-invents the moment in your mind :) you go into detail putting thoughts that you only might be able to re-imagine if you were there but you brought it to me on a spinny chair!!! (see salem makes me rhyme lol) so THANK YOU L.
Finally I got the time to read your post all the way through. Beautifully written - thanks for giving us all this insight into what must have been a truly amazing musical experience! And once again, thank you for your excellent work on this blog. I also want to take the opportunity to wish you a Happy Easter! Oh, Laura... I'm often amazed by how we seem to think so very likewise around just about everything. I'm pretty sure I would have shared all of your reactions and emotions, had I been there. Once again I just want to say thanks for your lovely comments - I'm glad that this review has had such a positive response. Doing this blog gives me the opportunity to put into words what it feels like to be a Salem fan, and how he and his wonderful music has changed my life. Of course you are all Salem fans too, so you will know exactly how special that feeling is. Oh, may I just say that it's like you're saying exact what I and i'm sure plenty of us feel, it IS a special feeling, you kind of feel conected to Salem at once through his music. 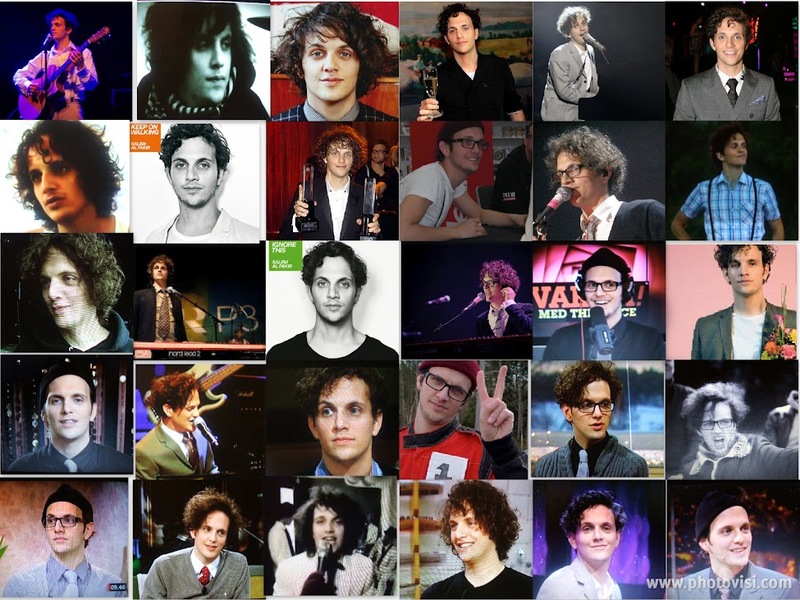 It's like finding your music soul mate, but it seems to be happening not only to myself but to pretty much every one stumbeling over him!